Lots of students make the same mistake over and over again — they try to come up with a topic as a first step in their college paper writing process. However, this is a wrong strategy, as picking a topic is a flexible process rather than a one-time action. This process also depends on the course of your research. 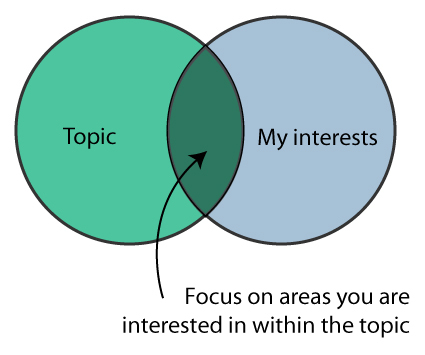 In other words, you cannot select a topic and seal it before you do some research. Below, we’ll try to show you how students should address the task of picking a topic for their term papers. As it’s been said above, one of the grave mistakes college student make is choosing the topic for their term papers right after they get their writing assignment. As a result, they stick to it as if it is rock-solid and often get lost in the process of their research. Choosing a topic for your paper is not an action; it’s a process. It lasts as long as you are working on your assignment. You don’t stop modifying it even when you have your first draft at hand. As a result of your research, you modify the topic. The main thing is that you repeat these steps as long as you want or until you find a perfect topic for your college-level paper. Let’s now break the process of choosing a research topic in four steps and view each of them in detail. Do you understand the assignment? How many sources should it contain? Can you find enough information to write it? The answers will help you begin. If you don’t understand everything about the assignment, ask the instructor (or your classmates) for some extra clarification. Maybe you’ve missed out some tips that could help you decide on the topic at once. The size of the paper will hint you on how broad your topic has to be. Is it “Feminism in 19th-21st centuries” or “The feminist movement of working women in Chicago in 1980s”? The difference is vast and depends on how many pages you need to cover. While a book might not be enough to cover the first topic, you can expect to cover the second one in up to 10 pages. Regarding the number of sources, not every topic is equally covered. For some, there are tons of materials, and others have acquired just a couple of mentions. Take this into account when thinking about your topic. Will you be capable to find enough information to cover it? It is quite controversial (so that you don’t prove what’s been proven already). Once you’ve decided on the direction you’ll be looking into, try to narrow your scope. You can decide how broad or narrow the topic has to be by considering the length of the assigned paper. To help you with these steps, you can try various techniques. One you’ve picked the concept to explore in your academic paper, it’s time to make it more specific. The good old way to do so is asking the “W” question: Who? What? Where? When? Why? It’s not necessary to answer all of them; you can spot once you’ve reached the point at which the topic of yours gets specific enough. This is a good exercise that you can practice in order to look for the related concepts. Just choose the key concept and write down everything that comes into your mind. Then choose the most relevant terms. Now, there should be enough information for you to start the research. They all work in a similar way, like a search engine, but not as global as the one you are using in your browser. You just start a query and view the list of pressing issues into which you might consider looking. All these online tools are great for providing students with topics that are worth researching. Once you’ve come up with an approximate research topic, don’t stick to it yet. It’s probably too early. Instead, do some research on what you have: the main concept or idea and its specific aspects that you’ve selected as a result of brainstorming or using the online tools from the above. Try to find as much information as you can that will help you cover all the aspects of your topic and find enough information to answer your research question. There is a possibility that you’ve chosen too narrow a topic. In this case, you won’t find as much information as you hoped. If this situation occurs, don’t worry. Try to modify the topic instead by shifting the accents or slightly changing the aspects of the problem you are viewing. You can do this as long as you come up with a new appropriate topic. Now, after finding the sources related to the formulated topic, explore the material. Read the articles, compare the evidence, make notes. As soon as you’re done with the reading, step aside once again. 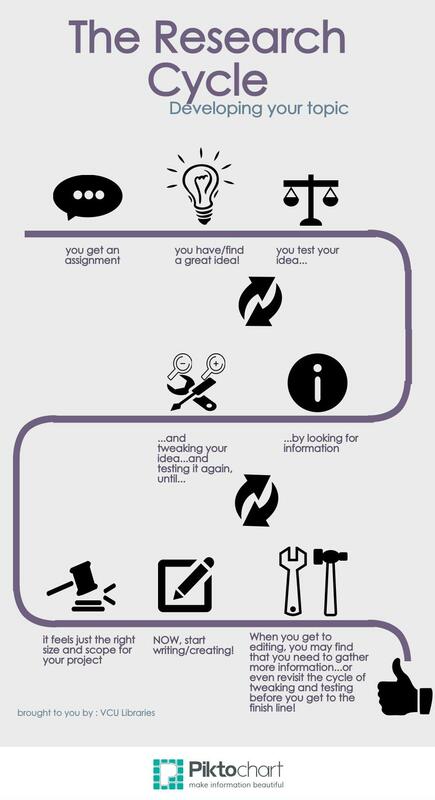 Did you choose the right direction of the research? Or have you just bumped into something else that you’d like to research instead? Something that’s more interesting to you or something that screams for being studied in your paper? It’s not late to change the focus one more time: you have the sources, as well as the evidence. As you can see, searching for a great paper topic can be a research on its own. It can often become a cyclic process with multiple steps and multiple revision rounds. You don’t just formulate a topic and stick to it no matter what. Throughout the entire process of processing the information and even writing, until your paper is done, you should stay flexible and open. At the end, this is what true academic research is all about.